Jack was born in Philadelphia on July 12th, 1947. In 1965, Jack graduated from Frankford High School and later earned an Associates Degree in Applied Science and Fire Science from the Philadelphia Community College. In September 1966, Jack was hired as a Firefighter for the Philadelphia Fire Department. In December of that same year, Jack enlisted in the United States Army and served two years in Korea in the Army’s K9 Unit. On February 6th, 1971, Jack became the loving husband of Maria “Maryann” Oleshytsky. Jack spent 27 years faithfully serving the citizens of Philadelphia as a member of the Philadelphia Fire Department. In addition to holding the rank of Lieutenant, Jack served as an Assistant Fire Marshall as well as the Administrative Assistant to the Fire Commissioner. 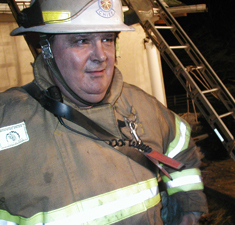 In 1995, after retiring from the Philadelphia Fire Department, Jack worked for several years as a Fire Investigator in the private sector and in 2003 was named an Assistant Building / Code Inspector for Whitemarsh Township. 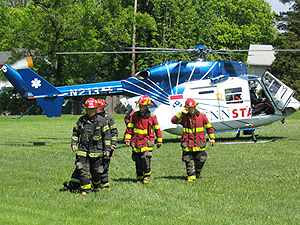 After retirement, Jack began serving his new community, Whitemarsh Township, as a volunteer with the Barren Hill Volunteer Fire Company. 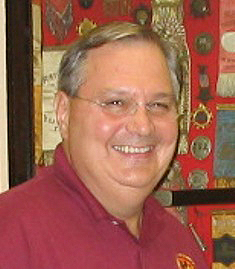 Throughout his tenure at Barren Hill, Jack served as Vice President and Trustee. 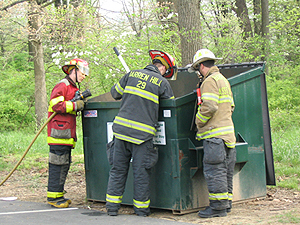 In addition, Jack rose through the ranks of the Fire Brigade, where he retired as Deputy Chief. Jack spent his life teaching, serving and mentoring everyone he came in contact with. The list of people whom he has touched throughout his lifetime is endless. Around every corner, there is someone who Jack, in some way has taught or guided. Jack’s influence has changed the lives of many young people who continue to strive to follow in his footsteps. From those following his footsteps into the Philadelphia Fire Department to those who follow his path in life, we all live a better life having known such an inspiration. Around the firehouse, Jack is well remembered for his words of wisdom, “The young bull and old bull,” and “Joe the bridgebuilder.” He was always there to mediate a conflict, or tell someone if something wasn’t right, but he wouldn’t stop at that, he would sit you down, and explain how to make it better, thats just the kind of guy he was. We need more people like Jack in this world, for then it would be a better place. Bill was born in Philadelphia on May 1st 1981. Bill was the son of William III and Judy Keely, brother to Tina. He grew up in Lafayette Hill and graduated from Plymouth Whitemarsh High School in 1999. He was actively involved in the school’s CITV program and went on to college to pursue a career in video technology. After a change of mind he joined the United States Navy in 2001. He loved boating and being out on the water. After serving in the NAVY for a year, he came home and worked on automobiles and did landscaping. Bill loved hands on activities. He also loved to help people. 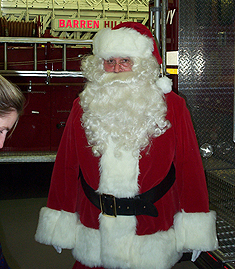 This is what brought him to join Barren Hill Fire Company. Bill had joined Barren Hill a year before his passing, but in that year had accomplished so much. He had taken all the classes required of him, and attended all trainings and meetings, along with being one of the more active fire brigade members. Whenever there was a special service, or something no one else wanted to do, Bill was the first one to volunteer to do it, thats just the way he was, and thats what earned him a special place in the hearts of all of us at Barren Hill. On September 11th, 2004 Bill was involved in an accident while helping a friend. He was taken to Temple University Hospital where Bill became an organ donor and gave his last great gift to five complete strangers, in need of help.